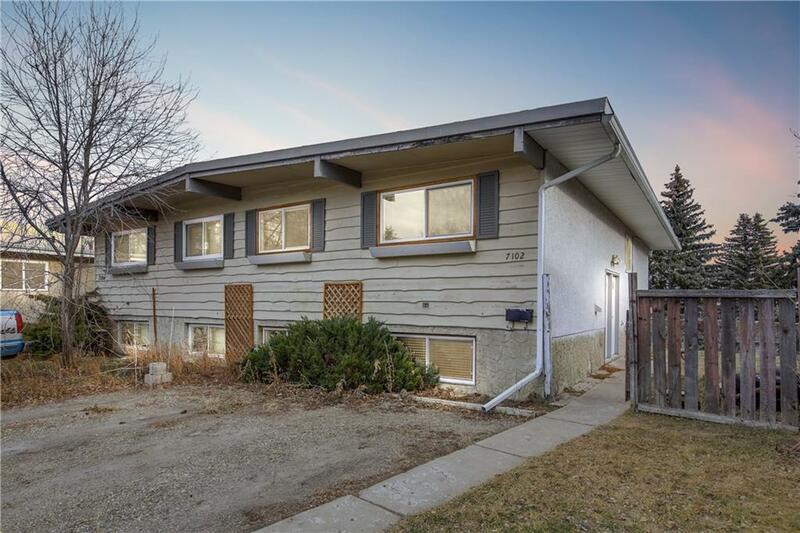 DESCRIPTION This property is located right in the heart of Huntington Hills, Close to local mall, Safeway, Superstore, all amenities and main bus line to the downtown core. Main floor has two great sized bedrooms, there is a shared laundry in the main entry with separate doors going up and or down. The basement features a walk out basement separate fenced yard, has a full kitchen, 2 bedrooms and full bath, great for your elderly parent or teenage child. Loads of parking with a back parking pad as well as front parking pad and plenty of street parking. New windows throughout and is a must see! Book your showings today. Owner will be painting lower suite and replacing doors. Home for sale at 7102 Hunterville RD Nw Calgary, Alberts T2K 4J8. Description: The home at 7102 Hunterville RD Nw Calgary, Alberta T2K 4J8 with the MLS® Number C4193002 is currently listed at $321,500.